Summer is over and Glass Fusing 101 is back!!! 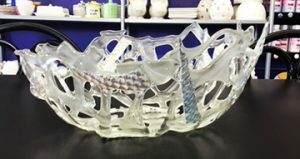 This month Aran will be teaching you all the basics of Glass Fusing and then working together to make a stunning "Spider Bowl". Space is limited to 7, call to sign up today. Cost is $95 and is open to ages 13 & up.